‘Ae Dil Hai Mushkil’ movie continues to be in trouble and so is the producer. Karan Johar , who was recently bashed by Abhijeet Bhattacharya on twitter, is seems to be in more distress. Recently, MNS had given ultimatum to Pakistani artists for leaving the country within 48hrs. This is seen in action now. Also Read: Abhijeet Lashes Out at Khans and Bhatt, and MNS Issues a Threat to Pakistani Artists. What Has India Come to? Over 100 MNS workers were seen protesting at Dharma productions office in Andheri at around 12 noon today. It seems, the situation was predicted well ahead of time and police were already at his residence and office for security. Around 80-100 MNS workers were arrested on the spot. 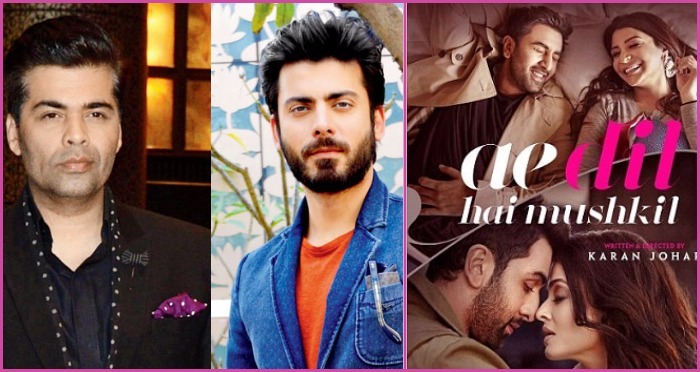 MNS gave notice to the producer saying, they won’t let the movie ‘Ae Dil Hai Mushkil’ release because it stars Fawad Khan. Will Karan Johar be able to release his movie on the official declared date, i.e 28 October is still a question.